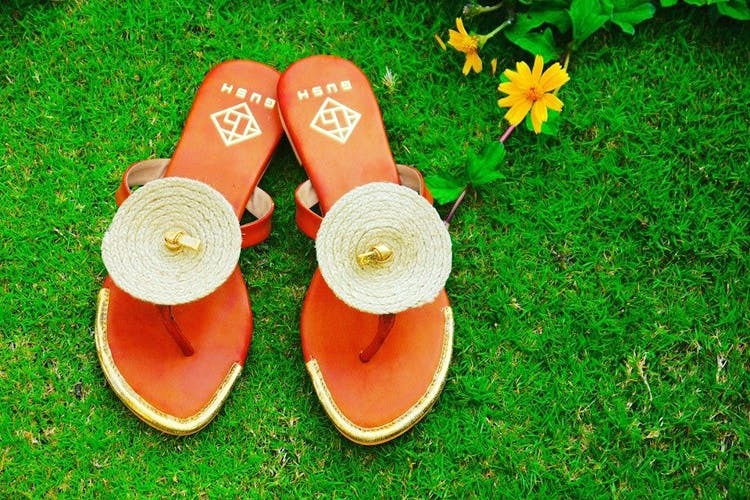 While on the prowl for something unique and interesting, we came across this brilliant brand that makes shoes and accessories, working closely with local artisans and is also PETA approved. Gush, conceptualised in 2013, does not believe in fast fashion. They encourage people to know more about what they believe in – eco-friendly and sustainable fashion. For women, the range is wide and varied, with many colourful options in flats and sandals, wedges, loafers and heels. They’ve taken the tassel trend that’s doing the rounds and is making signature patterns of which we’d all want to own a pair. They’ve even experimented in felt, jute and threads, using quirky colours and styles. For men, they have a range of loafers in different themes like nautical, khakhi, cork and many others. They also have a range of tassel necklaces that can go with any occasion. Once you purchase something from them, they will repair it for free within the first three months of purchase. While they’re on the higher side when it comes to the price (INR 2,500 onwards), you get a product that, according to them, lasts a very long time. They have a one-of-a-kind take on footwear design, where they use remnants and scraps in their earrings, necklaces or even in the lining of their shoes and bags; helping the environment and eliminating waste. They get all their jewellery handmade from traditional patuas. Even their shoe bags are made of muslin, which are hand-sewn by women from an NGO. Gush shoes and accessories are definitely on our list of awesome, so go check out and invest in something sustainable, long-lasting and unique. Apart from an online store, they also have a studio in Churchgate and they’ve told us they also stock at Aza, Creo and Amara in Mumbai.